I feel truly blessed that as a mommy blogger I am able to attend events that enhance my knowledge. 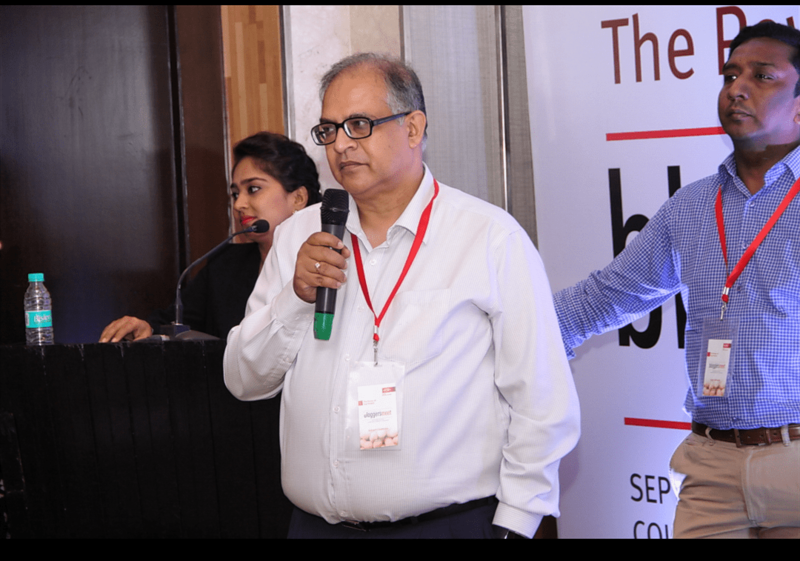 On the 29th of September I attended an event organized by Dupont nutrition and health. 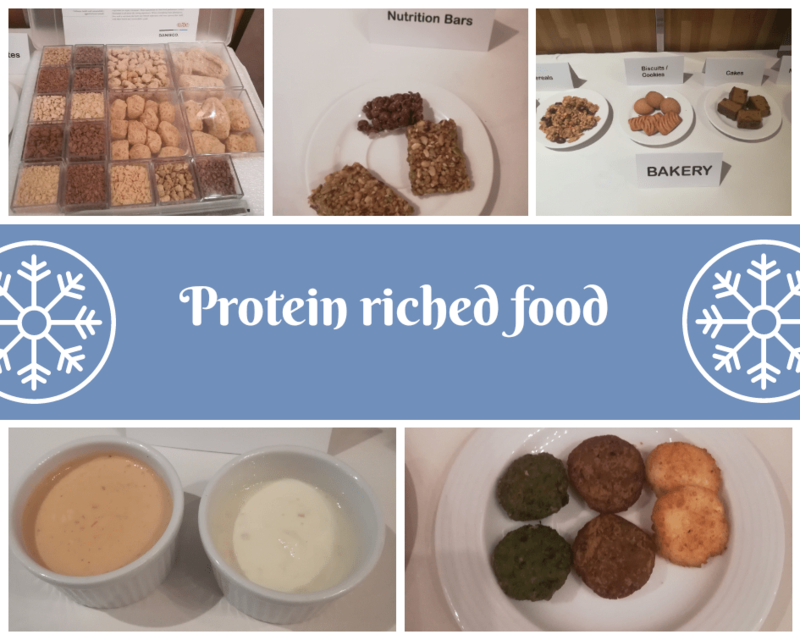 I was delighted to grab so much of information on protein and could also break a few bubbles of myth that is surrounding the beauty of soy protein. Today in this article I would like to share all the information that I have gathered there and help all the wonderful souls sitting on the opposite side of the screen to get benefited and live a healthy and fit life. In our science lessons we have always been thought the importance of protein. Let us recall those lessons, protein is the building block of body, it builds, maintains, and replaces the tissues in our body. Protein is very crucial for the development and working of our body, even to do simple activities like sitting or walking the requirement of protein cannot be denied. However what saddened me always the fact that for vegetarians to get full amount of protein there were limited or almost negligible options and bloggers meet helped to remove this worry from my life and answered the question on vegetarian option of protein. supporting healthy living and active lifestyle. PDCAAS method is a quantum to measure the ability of protein to provide the body with essential levels of amino acid for its human needs. PDCAAS is calculated by using an amino acid profile and true digestibility of a food protein. Dupont Danisco isolated protein (ISP) has the PDCAAS score of 1.00. Protein consists of amino acids and amino acids are the building blocks of protein. The quality or the nutritional value of protein is calculated as per the amino acid present in it and there are around 20 essential amino acids present. Different foods have different varieties and amount of amino acid and there by eating the right kind of food is essential to get maximum nutrition and essential amino acids. The most crucial fact is that protein is available either from animal products or plant products.Animal products like egg, meat, and milk have high amount of amino acids and thus are good source of protein. However certain plant products like soya Beans and quinoa are also full of amino acids and are good source of protein. But the sad part is that all plant based protein usually lack either one of the amino acid. So I always felt that my kids will lack something essential while growing and their growth will be hampered. I am pure vegetarian and so are my kids, but now with the help of Mr. Indranil Chatterjee, Mrs. Karuna Jaikrishna and Mr. Sujit Sathyadas from the house of Dupont Nutrition and Health and Dr. Namita Nadar from the prestigious Fortis hospital all fad about vegan protein will be broken. Soy protein is plant based protein and is thus a vegan protein. Thus is equivalent or let us admit that better than any plant based protein. It was the best information that made me smile . The mother in me did somersault in mind as I could now give my kids all the essential amino acids that are crucial in their growing years. As per WHO a child needs 45 grams or protein for every pound of body weight on daily basis and adults need 50 grams of protein for every pound of body weight on daily basis. A vegetarian or vegan diet follower should eat different plant based foods to get the required amino acids thus their diet should have tofu, cottage cheese, nuts, seeds, lentils and quinoa. Soy protein from the house of Dupont is a plant based protein and has all the 20 essential amino acids. Not only this it is a versatile food product that can take the taste of your food to next level. Dupont is a global leader in the food and beverages, dietary supplements and pharma Excipients segments. They are brand that believes in continuous innovation and bringing the best food for the humanity that is of high quality also. Disclaimer:The content in this post is purely meant for educational purpose only and not meant to be a replacement for a doctor consultation, nor is it a medical recommendation or prescription of treatment. Do consult a doctor before adding soy protein to your diet. Thank you for this informative post. Though I know the importance of protein in a daily diet, but I was unaware of the importance of amino acids. I will certainly try this product. Protein is very important for a healthy body and many vegetarians fall short in this category. Nice to learn about Soy based proteins – you can also consider millets – they are local, nutritious and complete proteins. It is so good to see many bloggers attended this healthy event about soy protein & through you, readers are getting good info. This is really great piece of information. Protein really is important part of diet and you have explained really good on its intake and requirement. Indeed, that was quite an informative event and I loved every bit of it as it enhanced my knowledge and made me more focussed towards the healthy eating styles. Sounds protein is a wonderful option for all the vegetarian. The best part is they won’t be loosing out nutition values. Thanks for sharing it out, will try it. Vegetarians find it hard to get their protein fill from food but it can be achieved with some attention to the right food items. Proteins play a big role in getting a healthy and fit body. Looks like a great event. I didn’t know Soya milk has lot of protein which is must for all age groups. This sounds like a very informative event. Soy is very healthy and not many people know about the health benefits. Good for spreading awareness. This looks like a informative event.Right information about proteins is much needed for better long term health wellness.Thanks for sharing. I am a vegan and soy protein is something I cannot skip! I have been taking soy protein for two years now… Dupont looks like a great brand! Will try their soy protein! Protein is definitely essential for well being. Protein supplements definitely help to balance the protein intake. DuPont seems like a nice brand. This sounds great. For vegetarians like us, this is a great choice considering the limited options we have. Glad to know such brand and such products exists. Amazing and informative post. Soy protein contains all the essential amino acids. It has nutritional value. Great event.